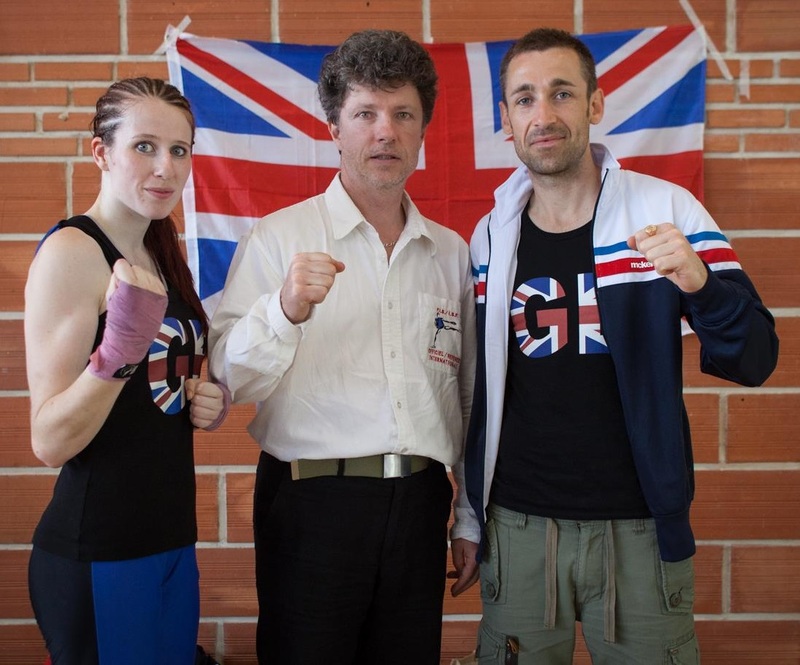 This year Great Britain was represented at the European Savate Combat Championships in Bugeat, France on June 13th and 14th. Sian-Marie Clark, fighting under 56kg, has been on the GB Assaut team since 2010 and decided this year to turn her hand (or, more appropriately, fist) to Combat Savate, the full contact side of the sport. After an intense 3 months of training and an early morning flight into Limoges, Sian and her coach, Sebastien Dubus, eventually arrived at the competition centre on the evening of Thursday 12th June, and swiftly went through the weigh-in and medical checks essential before competition. A nervous breakfast began the first day of fighting as Sian’s draw was announced: France, Italy and Russia. The first fight, against the French champion Flora Yanga, gave an insight into the effective use of leg strikes to slow down your opponent. Struggling to relax, and nervous of the heavy kicks coming in to her left leg, Sian stayed upright and didn’t indicate the damage she was sustaining in the ring but failed to take the fight to her opponent, staying on the defensive throughout. The second fight provided an opportunity to get more involved as Sian began to relax and use her height advantage to dominate at distance, giving her a much closer fight which ended with a 3-2 decision in favour of the Italian, Elisa Barbini. By the third fight, against Russian Anna Volobueva, the enjoyment of the combat experience had truly started to kick in and Sian fought a battle against a similarly tall opponent but sadly missed out on a win. A huge thank you must be given firstly to Sebastien, who was an incredibly supportive coach and ensured Sian was as prepared as possible for this first combat experience, and also to Alain Tardits, who accompanied Team GB as an official (as well as giving plenty of advice to Sian). Next year look out for Sian, who loved the experience so much this year that she is willing to go through it all again and train towards selection for the World Combat Championships.